Reefer Freight Shipping Services | Kings Eagle Inc.
Reefer or refrigerator trailer, unlike dry van, can carry freight at specific temperatures. This type of trailer differs from simple insulated and ventilated vans (commonly used for shipping fruit), neither of which are with cooling apparatus. Refrigerated trailers can be ice-cooled, equipped with any one of a variety of mechanical refrigeration systems powered by small displacement diesel engines, or utilize carbon dioxide (either as dry ice or in liquid form) as a cooling agent.Drivers who drive these trucks deliver perishable cargo.They must cool the refrigerator units before loading the goods to ensure a stable and correct temperature. Kings Eagle Inc. has the flexibility to provide a high level of reefer services effectively and quickly.If you need shipping services for temperature-sensitive good, our reefer trucks are the right solution for you.We provide freight shipping in all states in the US and Canada.Be sure that our employees will monitor your freight from pick up to delivery.In other words, we will make sure that your freight it is transported at the proper temperature.We assess your individual needs and offer the best combination of shipping solutions. 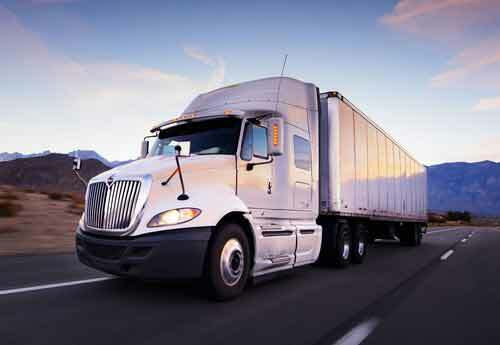 We are able to manage all logistics of reefer trucking.That involves keeping goods at the proper temperature and humidity at all times, as well as meeting shipping deadlines. We understand the importance of strict temperature and humidity control to preserve the quality of your products. Become a CDL Driver in Kings Eagle Inc.? Check what we offer for company driver or owner operator.Also, you can apply directly here. Copyright © 2019 Kings Eagle Inc.